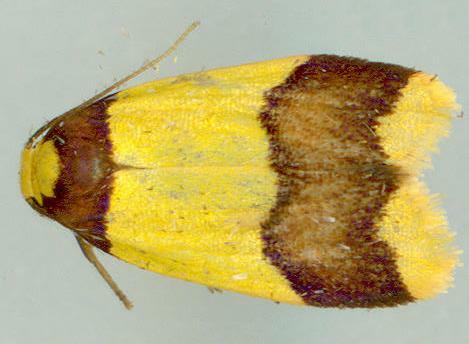 This species has adult moths with forewings that are yellow with two broad brown bands. The hindwings are plain brown. The wingspan is about 1 cm. Volume 51 (1940), p. 118, No. 199.